Deciem’s web site is down, its stores are closed, and it’s no longer launching at Ulta Beauty, WWD has learned. Talks of the brand’s Ulta launch swirled after The Ordinary exited Sephora earlier in 2018. Part of that was because of comments from Deciem on its Instagram account that appeared to confirm the news. But it seems that discussions between the two parties at some point collapsed — a spokeswoman for Ulta confirmed to WWD that Deciem is not launching there. “Ulta Beauty is always looking for new, relevant brands to add to our vast assortment. While we are not launching this particular brand, we look forward to continuing to introduce new brands to delight our guests,” an Ulta spokeswoman said. The Ulta news comes during a busy week for Deciem, which at the behest of founder Brandon Truaxe, has shut down most of its operations throughout this week. On Monday, Truaxe posted an Instagram video of himself on the Deciem account, saying, “This is the final post of Deciem, which we will shut down all operations until further notice, which is about two months … Please take me seriously … almost everyone at Deciem has been involved in a major criminal activity, which includes financial crimes.” The site was down for part of Monday, but got back up and running by midday. Stores were still open, too, with employees at one location telling WWD there were no plans to close. By Tuesday, some Deciem locations in London and New York had shuttered — including a store on New York’s Fifth Avenue — but the web site was still functional. The company’s New York Prince Street location was still open. But Wednesday, that location closed, too, and the SoHo store for The Ordinary even had a chain lock on the door. Signs for closed shops read, “Please Don’t Get Mad. We are currently closed for an unforeseen concern.” The web site was also down, displaying a solid red page instead of a functional storefront. Shoppers could get around that by going directly to brand sites, like The Ordinary.com or Niod.com, which appeared operational. Even for Deciem, which bills itself as The Abnormal Beauty Company, 2018 has been a weird year. Truaxe started posting erratically on Instagram, making broad or specific business announcements, and changing his title from chief executive officer to “worker.” Co-ceo Nicola Kilner, who has since rejoined the business, was let go from her position in February. 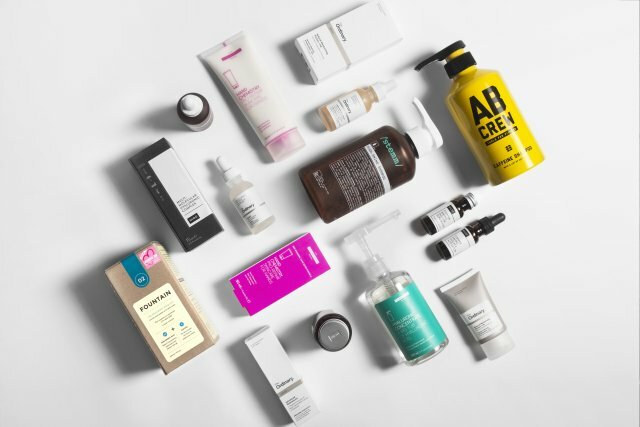 Those happenings came as Deciem worked to build out its manufacturing capacity — out of stocks were a historic problem because of the company’s fast growth — and launch new products and brands. Midway through the year, sales were said to be booming. The business did $140 million in sales for 2017, and was said to be at about $300 million in sales in July.